A competition to win All the Shows box sets. 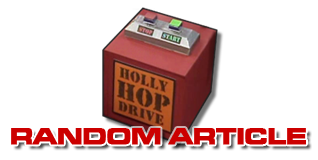 Dave - the home of Red Dwarf as well as the much-publicised witty banter - have launched a competition on their website. 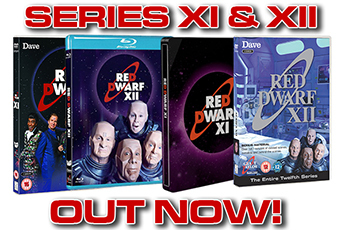 Click here	to be in with a chance of winning one of five All the Shows boxsets. 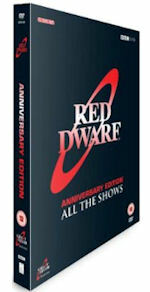 The ten-disc collection includes all 52 episodes of series one to eight. Technically, of course, this is no longer all the shows, since the Back to Earth three-parter premiered back in April. 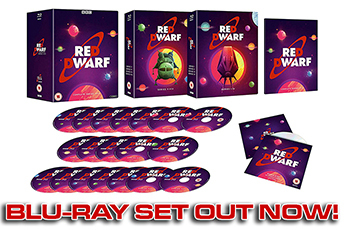 So to bring that total up to 55 and enjoy a full Red Dwarf marathon, grab the Back to Earth DVD	which is out now. Watching the whole series back to back will take you over 26 hours. reddwarf.co.uk recommends you factor in toilet breaks. To join Dave and enter their competition, visit their website.